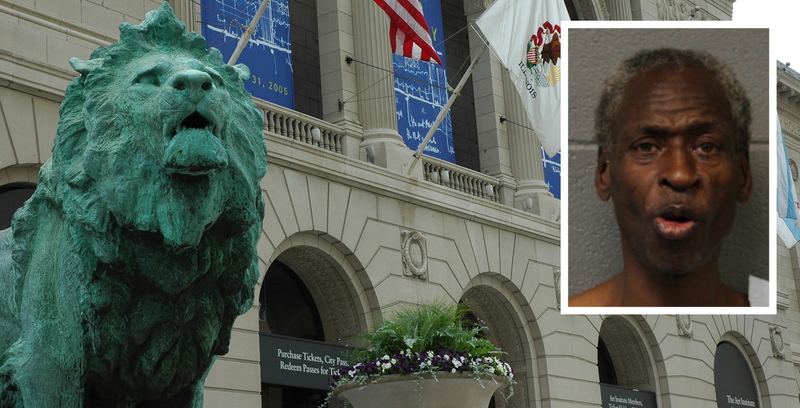 Donnell Young is charged with biting off part of an Art Institute employee's ear. Prosecutors have charged a 53-year-old man with punching an Art Institute employee and biting off part of the victim’s ear Thursday morning on Michigan Avenue. Around 6:45 a.m., Donnell Young asked the 51-year-old man for a cigarette near the museum in the 100 block of South Michigan. When the man said he didn’t have one, Young punched him in the head and body, then bit off part of the man’s ear, police said. Young ran from the area but was arrested when patrol officers, armed with a cell phone photo of the attacker, recognized him near State and Van Buren later in the morning. Police said that Young admitted to biting the victim. Prosecutors charged Young with one felony count of aggravated battery-great bodily harm and felony aggravated battery in a public place. He is due in bond court on Friday. The victim was taken to Northwestern Memorial Hospital where his condition was stabilized.